The recent election has exposed, among other things, how little liberal America understands those of us who identify as conservative or evangelical, particularly with respect to our position on abortion. The confusion has spawned a cottage industry of advice columns offering insight into the pro-life mind and tips for engaging pro-lifers who can’t otherwise be avoided. Commentaries typically reveal ethnocentrist slants with a tone resembling David Attenborough explaining the mating rituals of the common squirrel monkey. A recent contribution to the field comes from Daily Kos, and seeks to equip liberals to challenge pro-lifers on religious grounds. Through the lens of block quotes from the noted authority on religion, “a Christian lady who was like a second mother to me,” the author makes four main points. She starts with a rhetorical question that--surely--will bedevil pro-lifers: would those pro-lifers, having harangued a pregnant woman into not aborting her child, “put themselves on the line to take care of that mother and child?” Second, she equates forced abortions in China to prohibiting abortion, contending that they’re both about taking away freedom from mothers. Third, she argues that when life begins is a matter of conjecture, not fact, although she explicitly assumes without any reasoning or sense of irony that it of course begins before birth. And fourth, pro-lifers can’t really be pro-life if they’re not against war and capital punishment. Thus she concludes with the smug assumption that Daily Kos readers, who she assumes have intellectually transcended religion like butterflies liberated from their pupae, are now equipped to expose the shoddy moral reasoning of the devout and “their so-called religious stand on abortion” As my Alabama geometry teacher would say, QED, y’all. Let’s start by answering the author’s rhetorical question: will pro-lifers help take care of the mother and her child? Of course they will. My organization, Human Coalition, works to save babies by serving their mothers and coordinating care for the variety of social and economic challenges the mothers face. Or consider my colleague Sean Martin, who with his wife has adopted nine children with special needs. There are a multitude of pro-life organizations and orders across the country that desire to help serve women women with unplanned pregnancies. Their efforts just don’t make it into popular news stories very often because news producers evidently prefer to focus on political measures, which are more controversial. Furthermore, what exactly is the abortion industry doing for women? For a few hundred dollars, it will end a woman’s pregnancy. Hard stop. It doesn’t help her find a job, and it ignores (or enables) her partner’s failure to support her. It just takes her money . . . and leaves her with increased risk of suicide, PTSD, depression, Pelvic Inflammatory Disease, substance abuse,alcohol and marijuana use, anxiety and general mental health disorders. 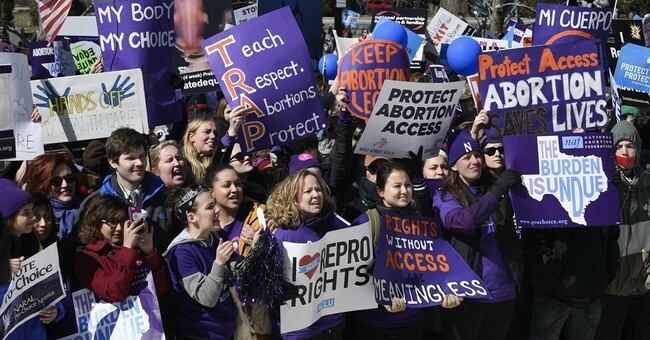 It is pro-lifers, like those at Human Coalition, who stand in the gap for women by providing the resources and compassion that empower and enable mothers and families to move forward in spite of the obstacles that the abortion movement dismisses as insurmountable. The author goes on to assert that the “time at which life begins . . . is conjecture, not proven fact,” and she contends that life does not begin in any meaningful sense until the soul enters the body and that when this entrance occurs is a subjective matter of religious or personal conviction. Setting aside for a moment the bad logic that a biological event’s occurrence depends on a third person’s subjective view, her argument displays stunning ignorance of settled science. In mammals, a new life begins when sperm and ovum unite. The new life is a genetically-distinct person whose growth is self-directed; he or she is not simply a part of his or her mother’s body. So let’s be clear, the right to an abortion means the right to kill another living human, as a number of abortionists readily admit. The author also contends that prohibiting an abortion is the moral equivalent of forced abortion. But that’s a false equivalence. Prohibiting an abortion results in the birth of a living person, while forced abortion results in a living person’s death. While our laws and legal tradition recognize immense personal freedoms, those freedoms never include the right to hurt another innocent person. And the preborn child is definitely another person. If we’re going to make an exception to that rule for preborn infants, why not also make it ok to kill infants just after birth? Or what about killing people with dementia? Societies have repeatedly favored some categories of people over others by making value judgments about the groups’ relative worth, and most every American would look on those acts with scorn. How confident should we be that future generations won’t revile us for allowing people to kill preborn humans? Last, she contends that any pro-lifer must also oppose war and capital punishment. But the author draws a false equivalence between taking the life of a preborn child and taking the lives of enemy soldiers or convicted murderers. At least in this country, capital punishment and just war involve state action directed against guilty parties or threats to national security, and they are undertaken only after extensive deliberations and due process. Abortion does not involve any such safeguards, it’s directed against a person who has never done anything bad to anyone, and it’s often coerced by a partner or a parent for his or her own selfish reasons. Support for capital punishment and just war do not in any way contradict a principled support for pre-born life, at least where support for capital punishment, just war, and the protection of pre-born life all come from a desire to protect innocent lives from unjust aggression. I suppose painting a caricature of pro-lifers as a bunch of women-hating curmudgeons who can’t think critically may get more page views. But it’s intellectually dishonest. And the caricature gilds the ethical and social quagmire legalized abortion creates--namely, that every abortion results in at least one other human’s death. Abortion is a deeply divisive issue in our society, and the commentariat should more responsibly portray pro-lifers fairly without stopping to belittle them for their thoughtful compassion for the preborn.